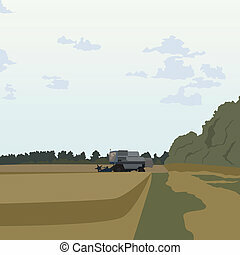 Combine harvesting crop in grain fields vector. 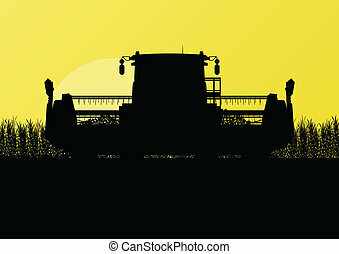 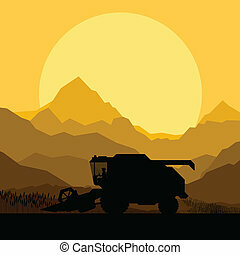 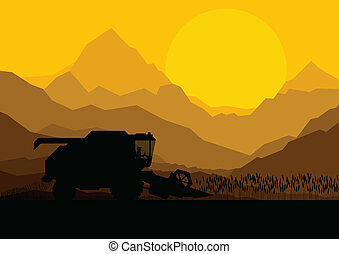 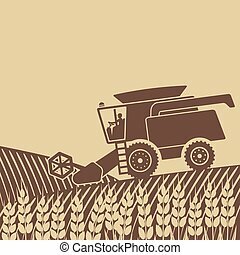 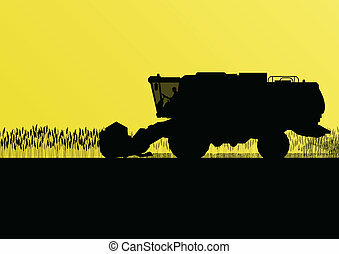 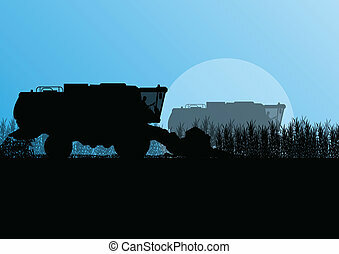 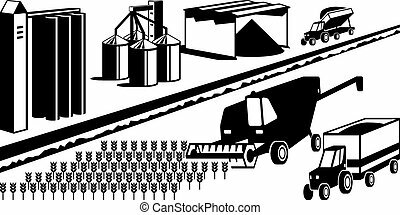 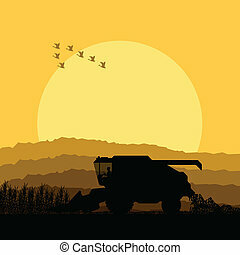 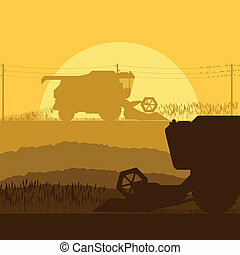 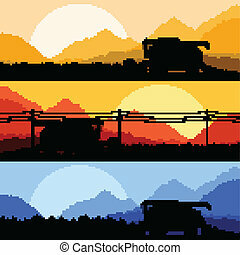 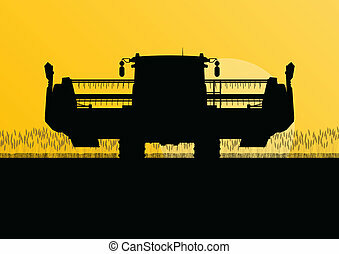 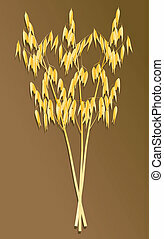 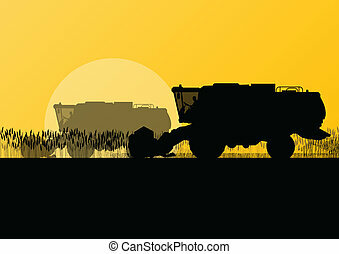 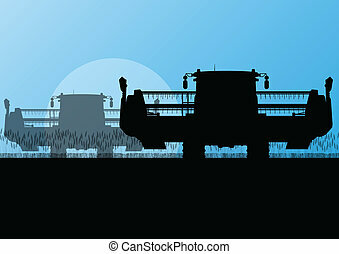 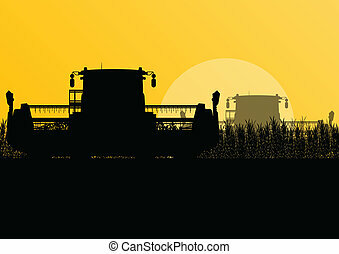 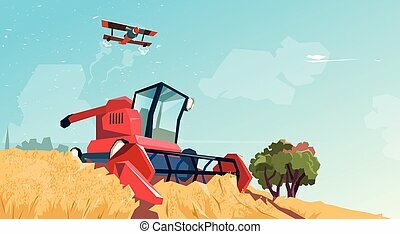 Combine harvesting crop in grain fields background vector illustration. Cartoon combine harvesting wheat, line icon style. 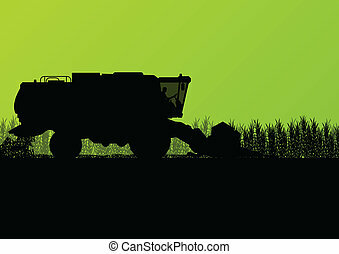 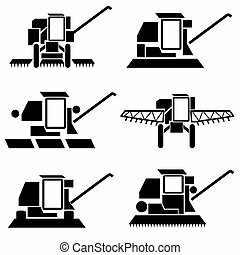 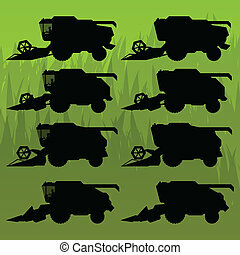 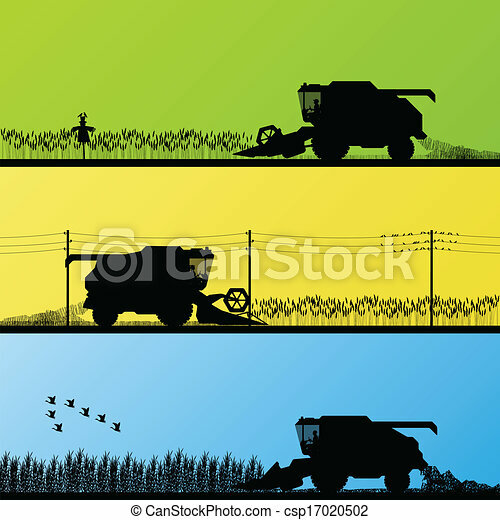 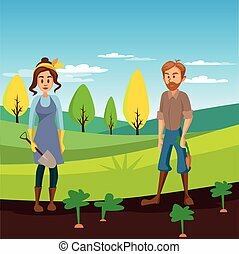 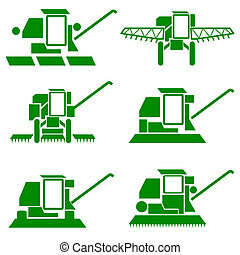 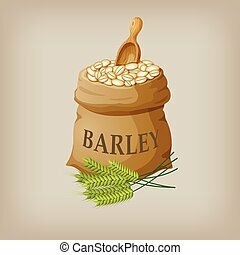 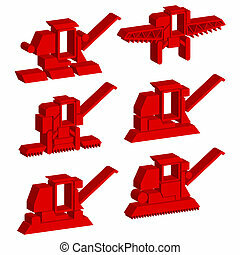 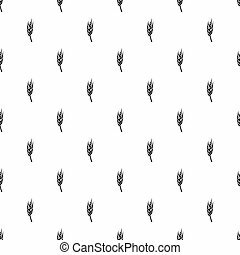 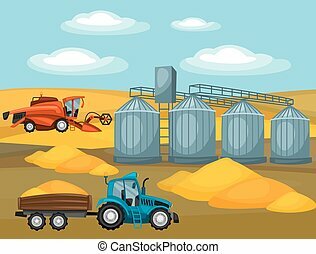 Agriculture vector illustration isolated on white background.